Intense exercise can cause problems with our digestive tract. It even has a name — "Exercise-induced Gastrointestinal Syndrome." Simply put, strenuous exercise can damage the gut and let the bacteria that reside there potentially pass into the bloodstream. A research group from Australia has taken a look at what we know about this syndrome, analyzed the impact of acute exercise intensity and duration on gastrointestinal integrity and function, and looked at what happens when people who already have gastrointestinal disorders exercise. "Despite excessive exercise being confirmed to compromise gut integrity and function, we have identified several exacerbating factors which can be controlled, and several prevention and management strategies that can attenuate and abolish the damage and compromised function," Ricardo Costa, lead author of the review, said in a press release from Wiley. Costa and his team reviewed scientific publications studying the effect of strenuous exercise on the gut to figure out how the damage occurs. Their report was published in the journal Alimentary Pharmacology & Therapeutics. They found two main physiological pathways that can be initiated by exercise. The first is the diversion of blood flow from the organs of the body to the muscles and extremities. The second is changes to the nervous system that decrease intestinal motility, the movement of muscles in the gut that transport contents along the GI tract. The combination of reduced blood flow and reduced motility cause injury to the lining of the gut and erosion of the protective mucus lining there. 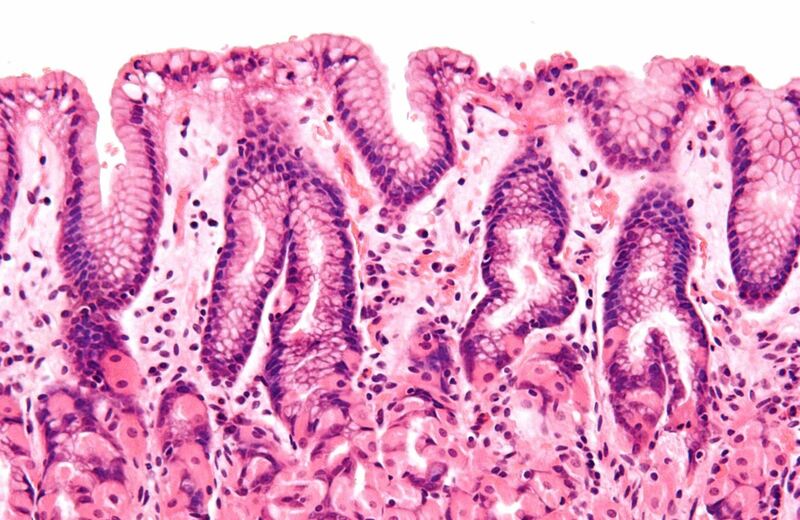 Once the protective mucus lining of the gut is damaged, exposed epithelial cells become damaged and bacteria living in the gut can pass from the gut into the bloodstream where they may cause infection. Costa's analysis of previously published research found that as exercise intensity and duration increased, intestinal injury, permeability, and endotoxemia — the presence of toxins produced and secreted by bacteria — increased. Following intense exercise, the body emptied the stomach contents slower, moved gut contents along the GI tract slower, and impaired nutritional absorption in the cells lining the tract. Those gut changes created symptoms in people exercising that included a broad range of GI complaints from nausea, regurgitation, belching, side stitch, abdominal cramps, urge to defecate, flatulence, stomach pain, gastric acidosis, abdominal pain, constipation, heartburn, reflux, bloody stools, and diarrhea. The researchers identified several factors that made the symptoms worse. The intestinal injury findings were worse when heat stress and running were involved. For example, 85% of men who participated in a multistage ultra-marathon reported experiencing debilitating gastrointestinal symptoms. Running was shown to cause greater incidence and severity of gastrointestinal symptoms compared to other exercise types, like cycling. Changes in the gut started after two hours of intense exercise at 60% oxygen maximum. (The oxygen maximum is the highest amount of air that can be taken in and used by the body during exercise). When the body hits this threshold, the lack of blood flow to the GI tract has gone on long enough to cause damage to cells lining the gut, cell erosion, and intestinal permeability. This damage happened whether the person was in shape or not. Women were found to be more prone to exercise-associated gastrointestinal problems than men. Individuals who had a history of recurrent exercise-induced gastrointestinal symptoms had higher incidence and more severe symptoms. Other published studies showed that moderate exercise could help people with inflammatory bowel disease and other gastrointestinal disorders control their symptoms and flare-ups. Costa and co-authors warned, though, that the safety of more strenuous exercise has not been established and given their findings, people with intestinal issues should be cautious and talk to their doctor about extreme exercise regimens. What are marathoners and others who enjoy strenuous exercise to do? Costa's research uncovered several strategies that can reduce the gut damage done by excessive workouts. The scientific review by Costa and his team identified several areas where preventative measures can help mitigate the gut damage done by strenuous exercise. Evidence has shown that dehydration makes GI disturbances worse and increases bacterial toxins in the blood. To avoid fluid imbalance, Costa stressed the importance of hydration before strenuous exercise and maintaining it throughout the exercise period. Eating carbohydrates often and consistently when exercising is can also help. One study found that two weeks of eating 90 grams of carbohydrates per hour during running significantly reduced GI symptoms. Avoid non-steroidal anti-inflammatories like aspirin and ibuprofen, because they cause GI injury and symptoms like nausea, regurgitation, dyspepsia, gastrointestinal ulcers, and gastrointestinal bleeding on their own. Leaky gut can cause painful and inconvenient symptoms and put you at risk for infection. Follow prevention advice and listen to your body during and after excessive exercise to maximize the benefits of exercise and minimize the damage.